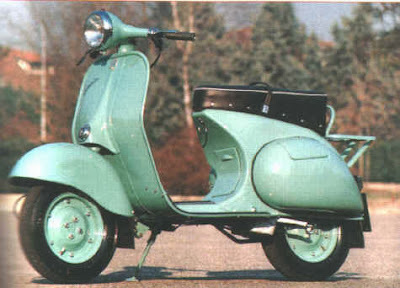 When Vespa and Lambretta dominate scooters markets in Europe in the mid to late 1950s, the world was more familiar with both of these brands. So dominant, two names that are considered legendary without competitors. 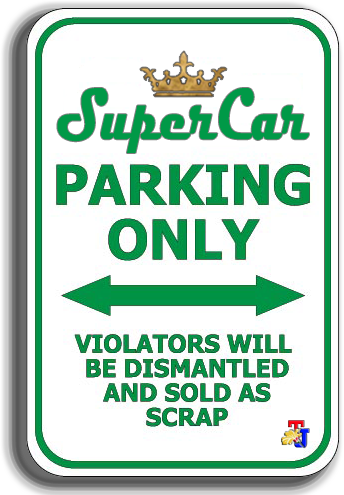 In fact, in reality, many scooter makers competitors. In 1953, Soviet engineers began designing the scooter production. This scooter is intended to meet the transportation needs of the Soviet people. To expedite the project, the Soviet government appointed Vyatka Industry company to begin production of scooters. Actually Vyatka Industry is the war tools factory. They want a scooter like the Vespa 150 but with a better quality and also has good resistance to Russian harsh cold weather. Beginning in 1957, the Soviets began the scooter mass production. This scooter is labeled Vyatka VP-150, which is 15 percent lighter than Vespa. The scooter full name is Moped Vyatka. The scooter's engine was contrived in Vyatskiye Polyansky. 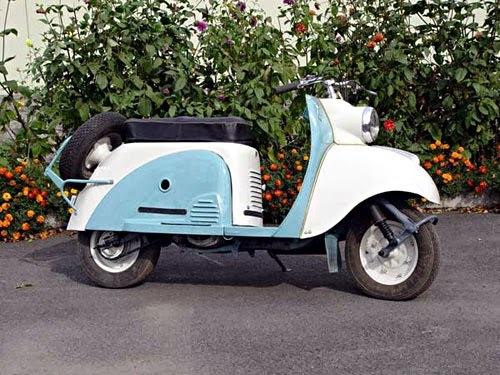 Indeed, this scooter is very similar to Italian scooters, 1955 Vespa 150GS. 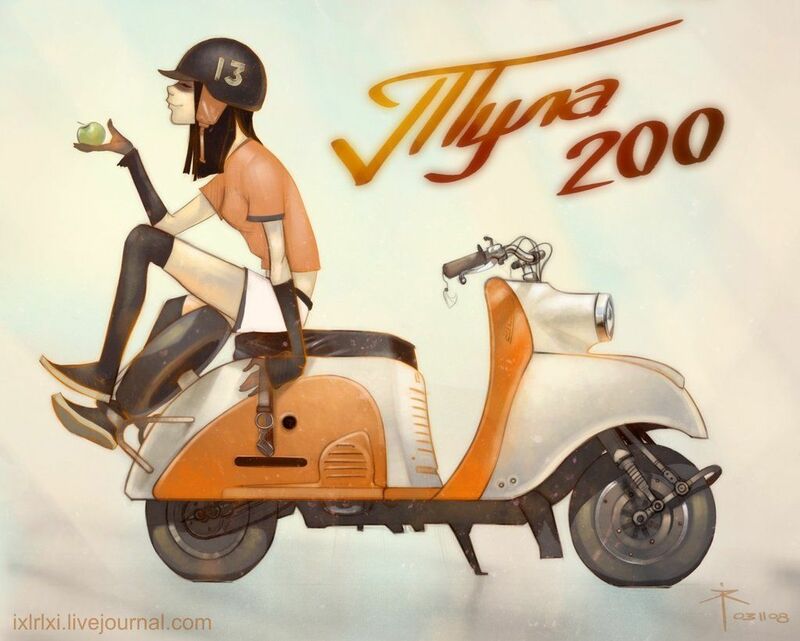 So it is not surprising if there are states that Vyatka was copy it from the Vespa. However Vyatka has greater power than the Vespa, because it uses the 148 cc engine capacity, whose combined with the 4-speed manual transmission. This scooter also can be accelerated from 0 to 60 mph in 10 seconds. Besides the Vyatka scooter is also easy to be assembled, and modified. 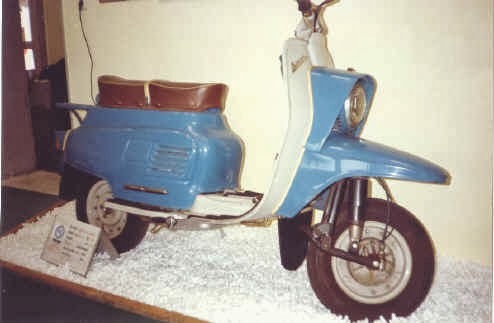 And no less important, the scooter is already completed with electric starter, which is a rare technology at that time. From 1960 to 1975, Vyatka produced more than 1.5 million units. 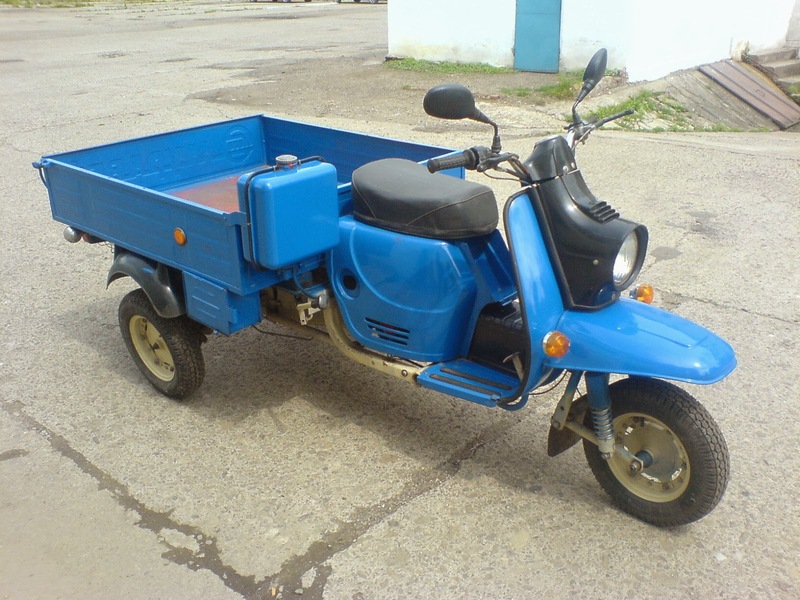 Scooter is like to be an icon of motor vehicles in the eastern bloc countries. The Vyatka's mainstay slogan is "Gives you as comfortable as driving a car and low price should the price of a bike." 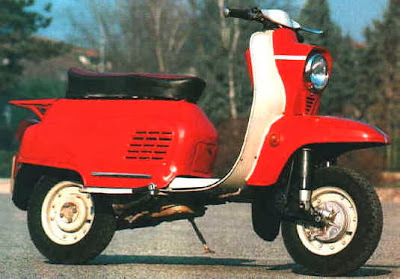 In December 1965, the Vyatka released the V-150M scooter. The new version has been widely revised and then it is called Electron. In late 1966, this Vyatka production is stopped. And in 1974, Vyatka launched a new variant of Vyatka-Electron that is equipped with the new ignition model, and one way electricity. Technically the Vyatka more powerful engine (power up to 7.5 hp), more faster (up to 80 kph) and is more economical and fuel-efficient (less than 3 liters per 100 km). 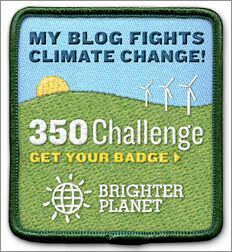 The current price also dropped to 280 rubles, which makes it affordable for the modest family. Not only Vyatka, there is one other scooter brand that ever made by a Russian named "Tula" (Tula Motorzikly Zavod) made in the city of Tula. 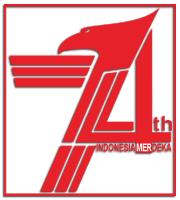 which were introduced in 1955. This scooter at a similar Heinkel Tourist, a German-made scooter. 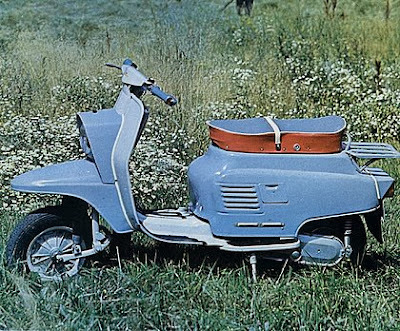 And at around the 1960s many of the Tula scooters used by Sovyet community. Compared to Vyatka, Tula scooters have a heavier weight and greater power anyway. Tula scooters popular among ordinary people, where the farmers can buy this vehicle with a cheaper price because it subsidized by the state. To fulfill the wishes of the farmers and ranchers, the Tula Muravey variant was launched. This scooter has a large enough body and make it effective for transporting of livestock, agricultural products, etc.. 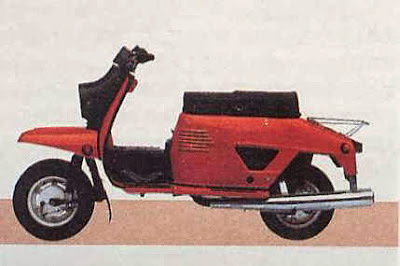 While the general specification of the Tula scooters, in addition to having a heavier body, but it is believed more stable when driven at high speed. This scooter uses a 4-stroke engine that has a capacity of 200 cc, combined with a four-speed gearbox, air-cooled with a fan.